As the world becomes increasingly aware of just how fragile our online security can be, it has become even more important than ever to protect your personal information from all manner of threats. Payza is an easy to use payment option that offers a variety of ways to load funds without requiring personal information. While it is a new payment method, many services are now accepting its use just as readily as Paypal or Bitcoin. Payza uses a method similar to Paypal, you can elect to send funds to a participating retailer or you can send payments via email address. 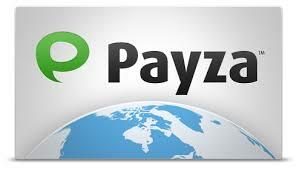 To get started you just need to visit Payza’s website and create a free account. Payza offers options for both personal and business, you’ll need to choose a personal account to continue. To setup your account you first need to provide some basic information like your name, address, etc. Next you will setup an account, linking appropriate banking accounts or other money loading options, and then you will need to verify your information. Once you have completed these steps you will be good to go, remember that you can only pay using Payza so long as the VPN provider you have chosen accepts it as a payment option. Unfortunately Payza is not available currently in the United States but boasts availability in a number of other countries. Using a service like Paypal or Payza adds an additional layer of protection when you are paying for things online. If your VPN provider is ever hacked they won’t have access to your personal credit card information. Even if they were able to trace your payment method back to Payza they would have to deal with their security. Payza also has a claims department to protect you in the case of fraudulent purchases. Is Payza The Most Secure Way To Pay? Payza is an incredibly secure method of paying for a VPN, but it isn’t the strongest. If you are wanting to be completely anonymous when subscribing to a VPN, your best bet would be to use a payment such as Bitcoin that uses anonymous payment methods. If you are just wanting a secure way to pay without directly providing credit card information Payza or Paypal are both strong solutions. Once you have your Payza account and are ready to decide which VPN to use, we’ve got you covered. Our experts have created a table highlighting the pros and cons of the top VPN providers. This table lists relevant features such as payment method and will make your search that much easier. If you are unsure as to whether a VPN provider you wish to use accepts Payza payments you should contact their help desk. Most providers also host a forum on their site which may also have answers to your questions as well.